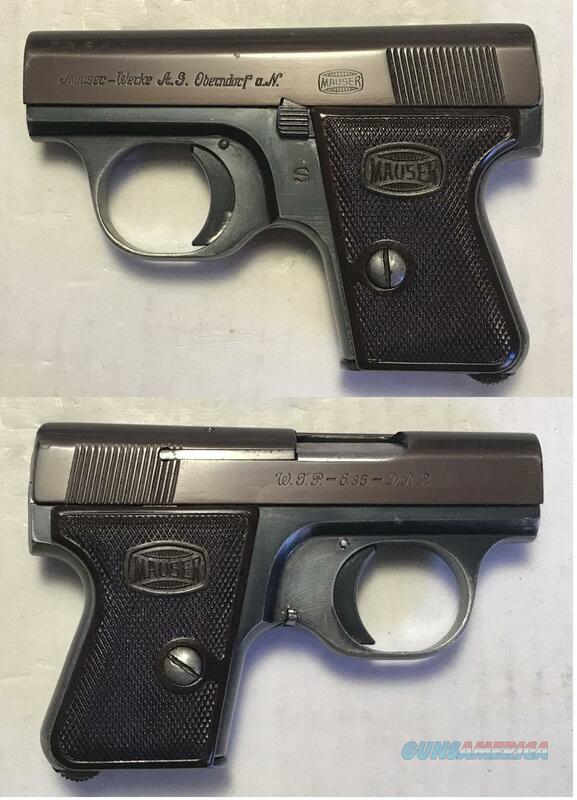 Description: Very scarce Mauser model WTP .25acp pistol. Excellent mint condition. Can be shipped directly to holders of a Collector of Curios and Relics FFL where permitted. California compliant. Layaway available.